You HAVE to answer all the questions you were given by the person who nominated you. You MUST choose 5-11 bloggers who have less than 200 followers, and come up with a new set of 11 questions for them. Let your nominees know they’ve been nominated. 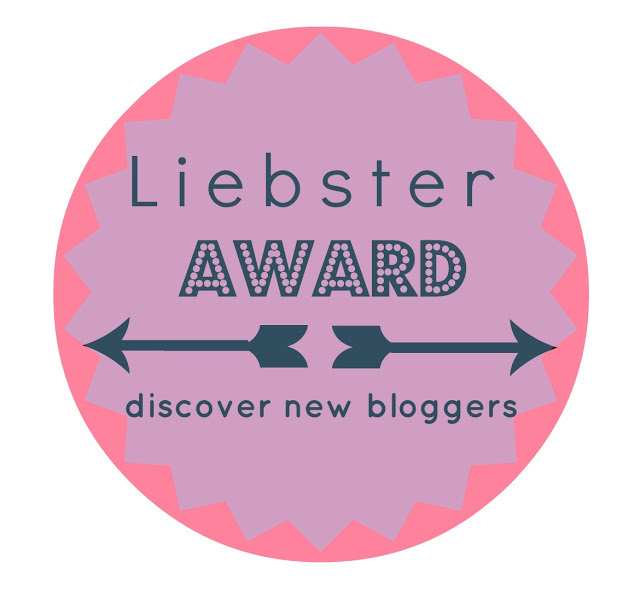 I’ve been nominated for the Liebster Award by Katie. You should all go and follow Katie because her blog is lovely. We’ve been exchanging tweets for a few months now & she’s a really sweet person. Katie also makes YouTube videos like me too!! I’d like to say a huge thank you to Katie for nominating me I’m so grateful and I hope that my blog keeps growing each and every day. What do you aspire to be later in life? I don’t have any particular aspirations however I’d love to be a great role model for someone. If someone ever said to me “I did this because you inspired me” I’d be really amazed and overwhelmed. There are so many places that I’d like to live in the world and I hope in the future I get to live in many of these places such as LA, New York, Hong Kong, Thailand, Spain etc.. Your favourite quality about yourself and why? I have to say I love how relaxed I am about certain situations because I just let it all unfold instead of telling people to do this and do that. Sometimes in life taking a backseat is just as good as being the leader. Who inspired you to do start a blog?/Why did you start blogging? I think that either Zoella or Sprinkle Of Glitter inspired me because they’re just such great role models they both come from normal backgrounds and then they worked hard to become successful. I loved both of their blogs and thought to myself hey I could try this out and so I did now look where I am. I actually have no secret talents which is pretty boring I guess? Beauty item you could never live without? I think it would probably have to be lip balm because I hate it when my lips are all dry and sore!! Do you prefer a CASUAL style or FORMAL style? This is a hard question!! I really love dressing up on a night out or for a party however I also love just relaxing at home in my casual clothes which are all comfy. I’d probably say my favourite thing is seeing the response from you guys because some people say amazing things to me which really make me smile. What is your WORST pet peeve? I hate it when people read your message and then don’t reply back I’m just like arghhh!! Do you prefer photos, videos or text when it comes to blogging? I love all three to be honest I love photos because you have something visual to look at whereas text allows you to express your feelings but videos allow a person to see the real you. 1) If you could be in a movie which one would you want to be in and why? 2) Favorite song at the moment? 3) What do you like about blogging? 4) Are you a Youtuber? 5) Do you prefer baths or showers? 8) Who are your favorite make-up brand? 9) Do you aspire to be like anyone? 10) When you have children in the future would you persuade them to blog/make videos? 11) Do you feel pressured to blog?